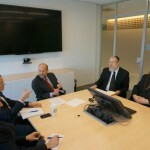 Satisfaction and appreciation was the theme of the high level meeting held last week in the office of New York City’s Human Resources Administration at the recently completed World Trade Center in downtown Manhattan. 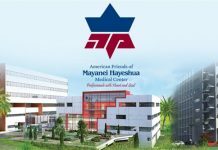 The meeting was convened after HRA Commissioner Steven Banks responded swiftly and positively to a letter sent to the Commissioner by Rabbi Shmuel Lefkowitz, Vice President for Community Affairs for Agudath Israel of America. 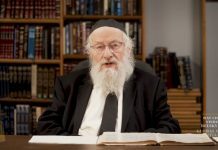 In his letter, Rabbi Lefkowitz explained the need for kosher agencies to be able to access alternative food allotments, when offered non-kosher food. At the meeting, Rabbi Labish Becker, Executive Director of Agudath Israel of America – represented the Orthodox Jewish advocacy organization, and was joined by representatives of the Food Bank for New York City, the Met Council on Jewish Poverty, B’nai Jeshurun Soup Kitchen, and Masbia Soup Kitchen and Pantry. Mr. Banks began by expressing his sincere dedication to ensuring that through the work of food pantries and soup kitchens the agencies will continue to provide underprivileged New Yorkers with healthy and nutritious meals. He also asked for input as to how the City and the agencies can cooperate to attain greater efficiency. A very lively discussion ensued and many important suggestions were brought to the table. Among the topics discussed was the issue of better serving the needs of kosher observing clients and ideas of how to restructure food and resource allocation. The Commissioner listened attentively to each presentation and promised to continue his work to accommodate the needs of all New Yorkers. “The Human Resources Administration is committed to providing nutritious and healthy food options through our food pantries, community kitchens and other resources to New Yorkers who are food insecure. HRA is especially focused on ensuring access to alternative food options for individuals from New York’s broad and varied faith communities who may have religious dietary needs,” said Mr. Banks.